The Cochell Law Firm has over 35 years of experience representing clients in Houston and the surrounding areas in all areas of business law. Our attorneys have the knowledge and experience you need to help your business achieve the best possible outcome for whatever situation you may be facing. Our firm has assisted clients across several different industries including retail, transportation, real estate, construction, and manufacturing. Whatever your business is, we’re here to protect your interests and help you succeed by evaluating the needs and goals of your business before outlining a strategy for success. Our goal with every client is to identify the needs of their business so that we can begin to coordinate an effective strategy that can help them solve whatever legal challenges they are facing. 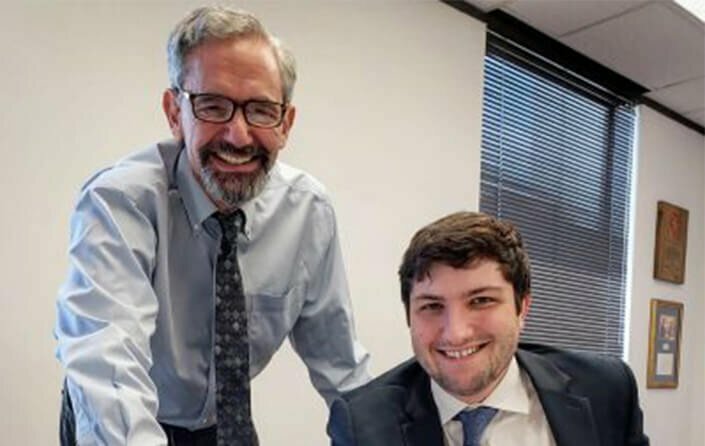 Our firm has extensive knowledge and experience in a variety of legal areas including business litigation, labor and employment law, intellectual property law, corporate and transactional law, and white collar criminal defense. Whether your business is big or small, our firm is here to ensure your needs are taken care of so that you can focus on what’s important — running your business. The Cochell Law Firm is here to provide full legal support and counsel to businesses with a specific focus on the type of business entity that best represents your goals. Whether you need an experienced litigator for complex business disputes, or simple legal counsel to help you incorporate your business, our team is here to make sure you’re prepared by walking you through every last detail. We will approach each company problem one by one, and individually address the needs of your unique situation by providing strategic thinking, creative planning, and sound budgeting so that you’re set up for success. I believe that every legal challenge has a solution. Our job is to examine your unique situation and use our knowledge and experience to find a solution that works for you and your business. Our firm has experience prosecuting and defending a variety of different business matters and disputes, providing us with valuable and unique insights that can assist our clients in virtually any litigation matter. With over 35 years of experience litigating various labor and employment law issues, our firm is well positioned to help your business solve disputes. Whether you’re a small business or a multi-national company, our firm is equipped to handle your issues efficiently and effectively. Our firm is prepared to defend businesses against all types of intellectual property claims, including theft of trade secrets. At Cochell Law Firm, our attorneys understand the value of intellectual property to your business, and we’re prepared to help you protect it. Ultimately, our firm is here to help guide your business through smart decision making, and effective strategic planning that can protect your interests and help you secure a successful future for your business. We believe that our multi-faceted approach can help solve virtually any problem your business is facing. We are committed to taking every aspect of your business into consideration so that you can feel confident knowing that your legal issues are being handled swiftly and professionally — because providing you the peace of mind you need to run your business is exactly what we’re here for.